Maxwell was founded in 1905 by Jonathan Dixon Maxwell and Benjamin Briscoe in Tarrytown, New York. It was the only surviving marque of Briscoe’s disastrous United States Motor Company conglomerate and would become known as Chrysler in 1925. 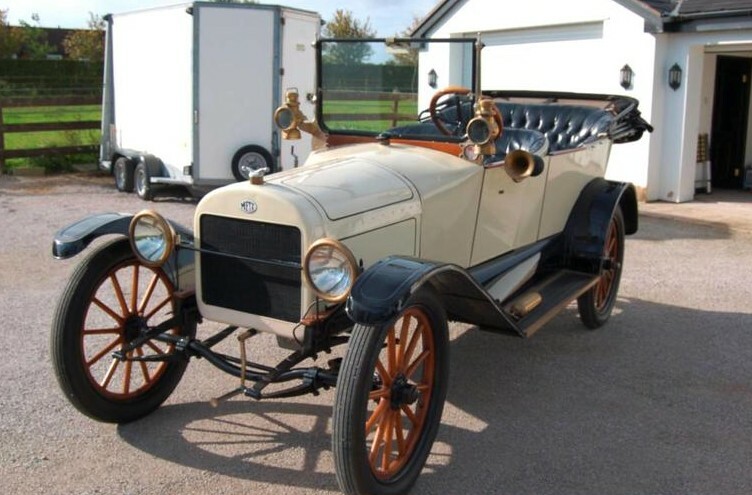 The Model 25 was actually sold in 1914 through 1924 but this car is apparently titled as a 1913. Power came from a 21 horsepower straight-four backed by a 3-speed manual transmission. This car is unrestored and would make a great driver. It should bring between $20,000-$30,000. Click here for more info. 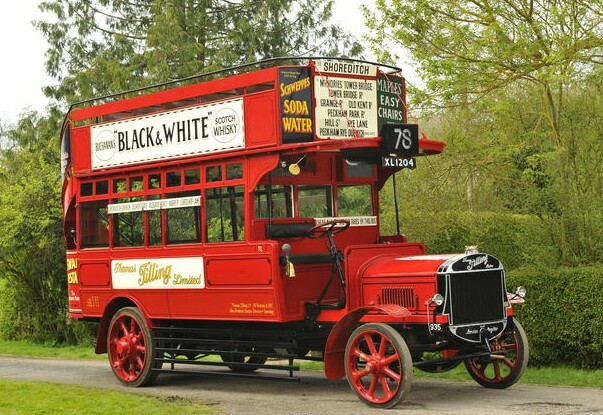 The White Motor Company was around for 80 years, but only produced passenger cars for the first 18 of those. And the earliest examples were powered by steam before they focused on gasoline power (and ultimately diesel trucks). White had a very strange model naming system going from about 1910 through 1916. Take for instance, this Model G.E.D. Touring. The 1914 model range consisted of the Model Thirty, the Model Forty, and Model Sixty. The Model Thirty was broken down as the G.A.F. Touring, Roadster, and Coupe. G.A.H. cars were actually built in 1916 so it’s hard telling why this is titled as a 1914. At any rate, it should bring between $45,000-$65,000 and you can read more here. The Cole Motor Car Company was founded by Joseph Cole in Indianapolis in 1909. Their claim to fame was that they were one of the first companies to offer a V8 engine in their cars. 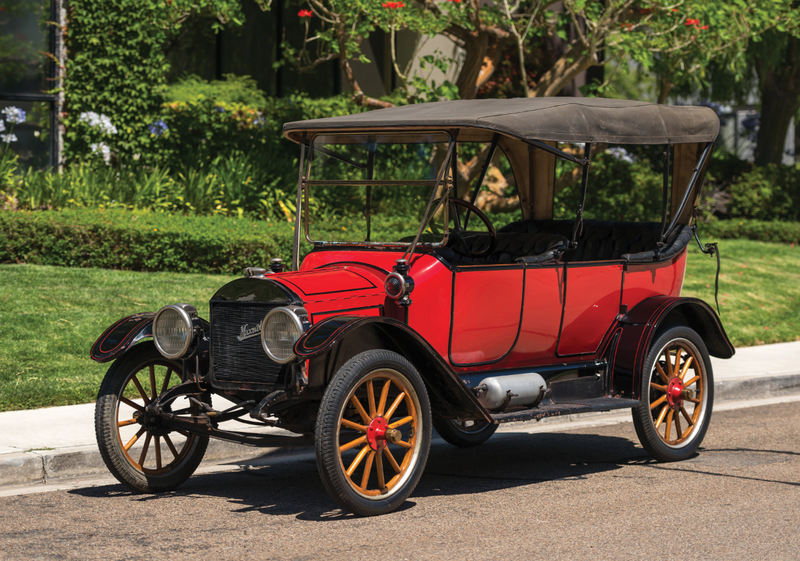 It debuted in 1915 for the 1916 model year and would last through the end of Cole production in 1925. 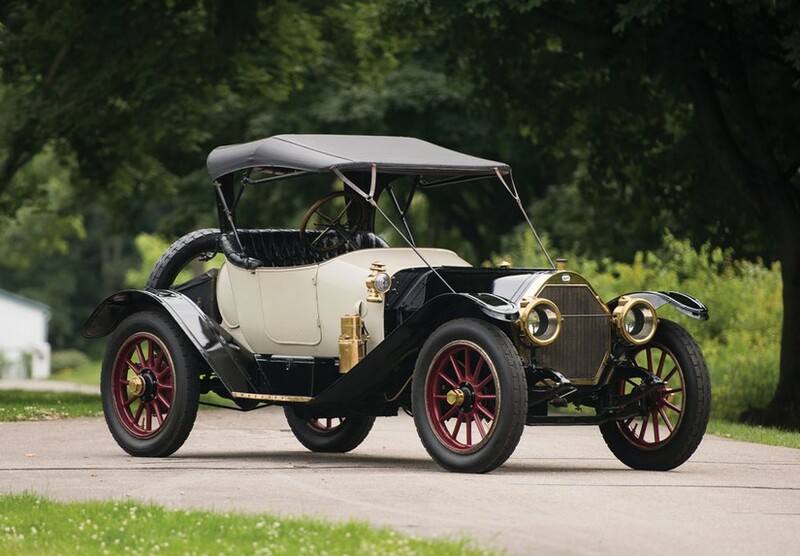 1919 Coles were dubbed the Series 870 and featured a 39 horsepower version of the company’s V8. In 1920, the “Aero Eight” moniker was introduced and the $2,750 4-passenger Sportster would’ve featured an upgraded 80 horsepower version of the engine. If this is a true Sportster, it’s going to have the big engine. It should bring between $20,000-$30,000. Click here for more info. 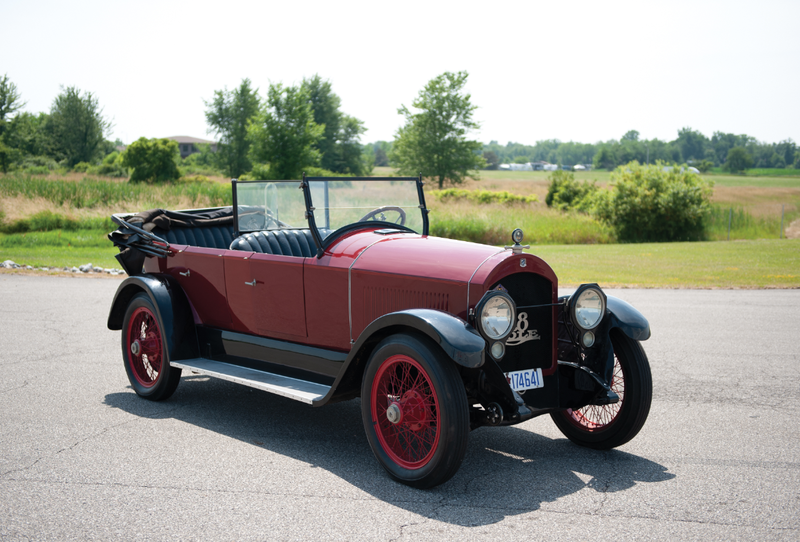 Buick only offered six-cylinder cars between 1919 and 1921. 1919’s Model H would become 1920’s Model K. For 1921 Buick moved to the Series 21 and would continue with numerical sequencing through 1924. 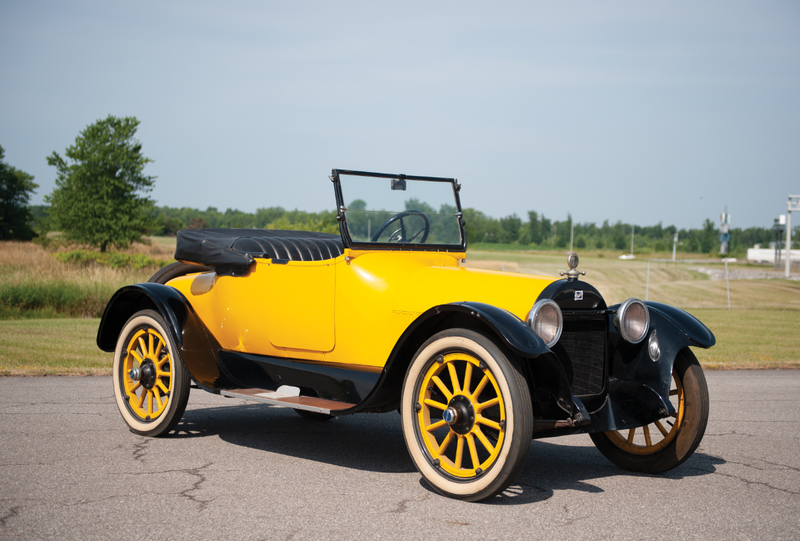 A 4.0-liter straight-six created 27 horsepower in the Model K and this 2-door, 3-passenger Roadster was the cheapest model offered at $1,495. 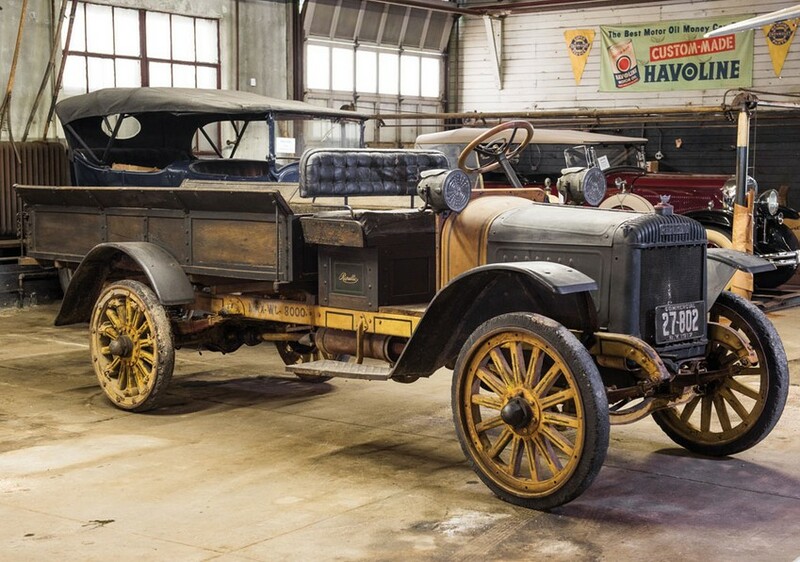 About 19,000 of them were made in 1920 and this one should bring between $15,000-$25,000. Click here for more info and here for more from this sale. It has been restored – many years ago – and driven quite a bit since. It has resided it some large collections over the years – but not the Harrah Collection, although it is said that this is a car Harrah tried to get his hands on for years. The Model 25 is powered by a 40 horsepower 7.1-liter straight-four. This would be a great classic to own. The estimate is a wide $375,000-$500,000. Click here for more info and here for the rest of RM’s awesome lineup. The 1911 National was offered as a single model – the Model 40. The Speedway Roadster was the smallest and most affordable style. Its name is a reference to the Indianapolis Motor Speedway – a nearby motoring landmark, as National was based in Indianapolis. In fact, Arthur Newby, who founded National, also co-founded the Speedway – and 1911 was the inaugural year of the Indy 500. This car is powered by a 40 horsepower 7.3-liter straight-four. National won the 1912 Indy 500 with a car closely resembling this one. Discovered in Atlanta in the 1950s, this car has been restored twice, the most recent of which was in the last 10 years. It should bring between $200,000-$275,000. Click here for more info. The Case automobile was produced by the same company that made agricultural equipment in Racine, Wisconsin, between 1911 and 1927. 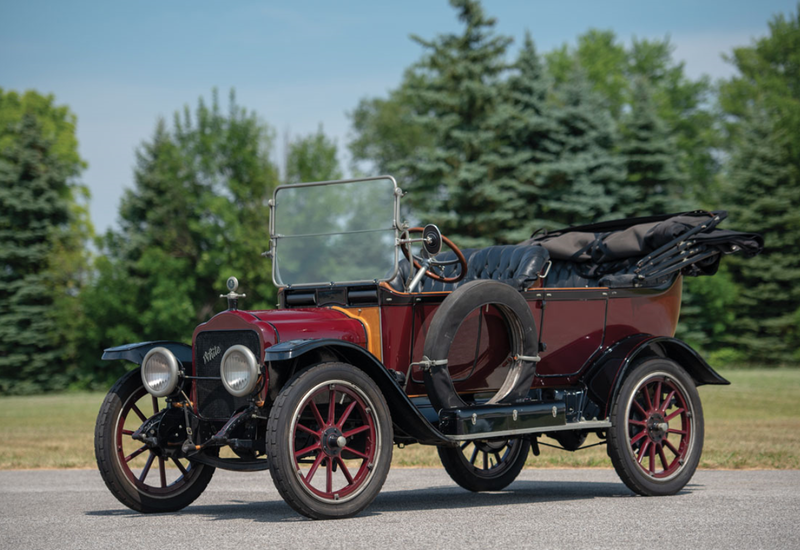 The 1914 Case Model 35 was only offered as a five-passenger touring car. This is obviously not one of those. John Dorton was an inventor and salesman from Kansas. He invented the Human Eye Auto Lamp, a kind of headlight that steers with the car. This was his demonstrator vehicle. It’s fitted with a bunch of other one-off features including a steam organ that could be operated from the driver’s seat. It’s a really interesting one-of-a-kind truck and is powered by a 35 horsepower 5.1-liter straight-four. It should sell for between $75,000-$125,000. Click here for more info. It’s really worth checking out. Like Case, Mitchell was also from Racine, Wisconsin. The company was founded as a wagon maker by Henry Mitchell and his son-in-law (William Lewis) would help steer the company toward automobile production in 1903. Mitchell would produce cars for the next 20 years. The 1912 catalog offered five modes, with the Model 5-6 Baby Six as the second most powerful. The engine is a 6.0-liter straight-four making almost 34 horsepower. The Roadster was one of two body styles offered and this one is mostly original (although it had been repainted). It should bring between $100,000-$150,000. Click here for more info. Microbreweries are everywhere these days. If one of them were looking for an absolutely great promotional vehicle, this would be that. This is an all-original truck from the Republic Motor Truck Company of Alma, Michigan. 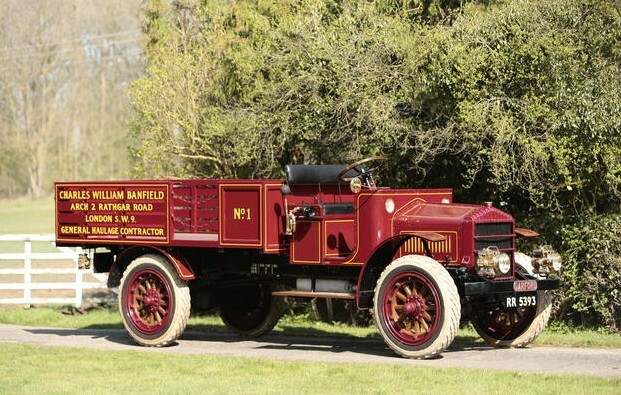 They built trucks from about 1913 through 1929 (at which point they merged with American-LaFrance). The engine in this beast is a 3.6-liter Continental straight-four. The truck has not run in a long time so it would require a pretty hefty mechanical overhaul to be usable. And those solid rubber tries are probably older than just about anybody reading this. Which is pretty amazing. This is one of two known 1916 Republics to survive and this one should bring between $10,000-$15,000. Click here for more info. 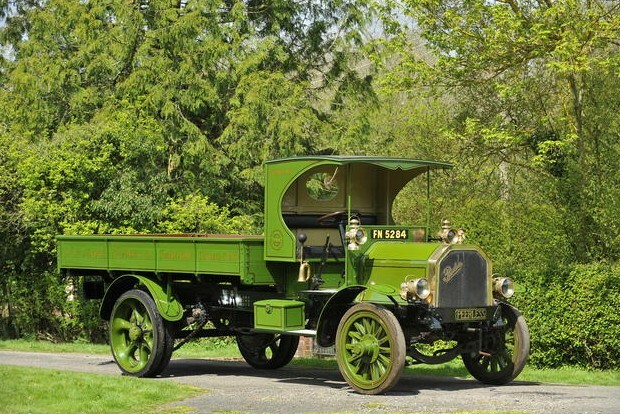 This sale from Bonhams includes quite a number of really awesome commercial vehicles. I don’t have enough time to feature them individually, but because they’re so cool (and you so rarely see them at auction), I thought I’d do two posts that cover the coolest among them (which is pretty much all of them). This truck is from one of America’s premier luxury car manufacturers. 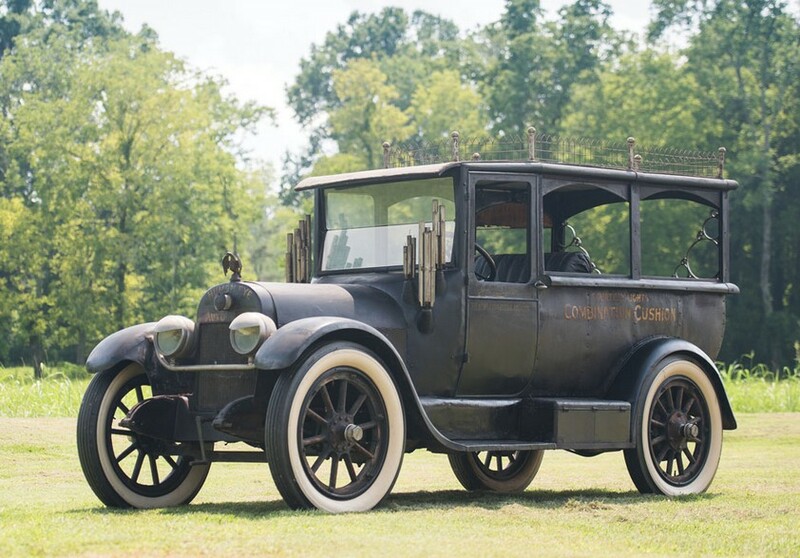 They started building trucks in 1911 and the U.S. Army loved them. The British government bought 12,000 of them between 1915 and 1918, during the First World War. This thing uses a 6.8-liter four-cylinder and was in service with the British government until 1956. It’s beautiful. And it should sell for between $34,000-$42,000. Click here for more. White tires on a commercial truck!? Are you crazy? I love it. Garford was an American truck company based in Elyria, Ohio (near Cleveland), that began production in 1909. In 1925, the company changed their name. This was a truck that Garford sent to Europe during the War. It uses a 3.4-liter straight-four. The Model 25 was new for 1919 and this one is a driver. It should sell for between $37,000-$51,000. Click here for more info. This is the third Metz I can recall coming up for auction in the past two months. I really wanted to feature one of the other two but it never fit on the schedule. So when I saw this one third from the end of Bonhams’ lot list for their Harrogate sale (here), I had to feature it. 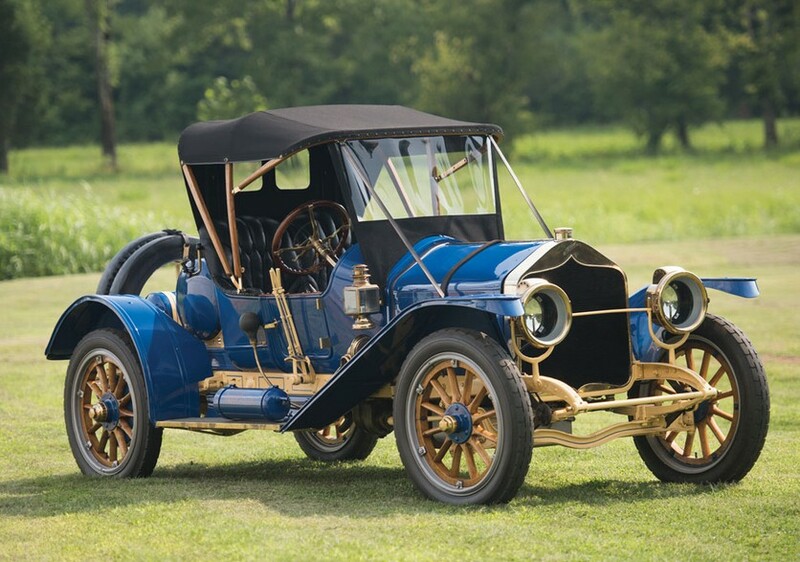 Charles Herman Metz founded the car company that bore his name in 1909 in Waltham, Massachusetts. He bought out the Waltham Manufacturing Company – a company he co-founded and was subsequently booted from. They were producing Waltham and Orient Buckboard cars when he bought them out. Metz produced cars in their factory but they also offered them on the “Metz Plan” where consumers would pay a weekly fee and have parts shipped to their homes, where they would assemble it themselves. It was a mail-order car – in parts. Which is interesting, but not great if you needed a car, say… anytime in the next 4-to-6 months. Metz folded in 1922. No word on if this four-cylinder Metz was a home-build or a factory car, but it was involved in an accident in 1915 before it had even covered 600 miles. It was then promptly garaged for the next (gets his calculator out)… the next 55 years! That’s right, this thing sat in storage somewhere until 1970 when it was dragged out and had its engine rebuilt with only 564 miles on the odometer. 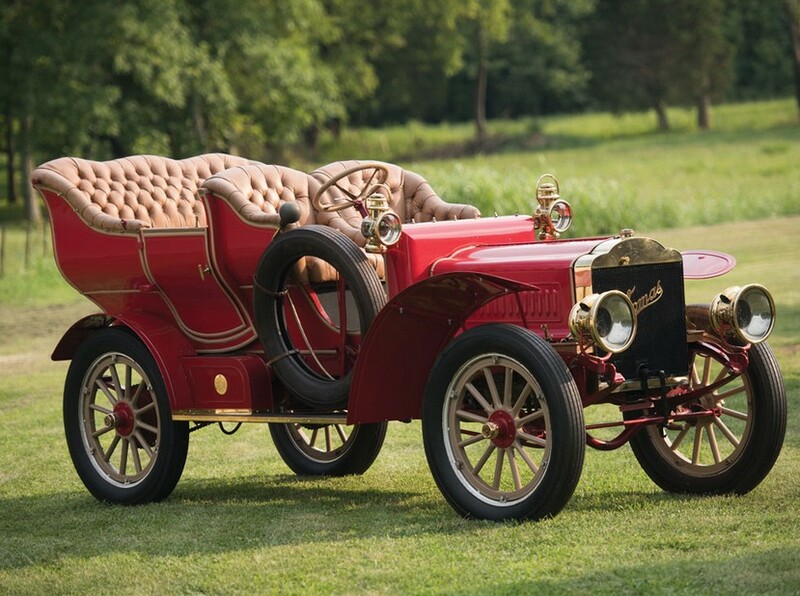 It has since been completely restored and can be yours for $19,000-$24,000. Fore more information, click here.